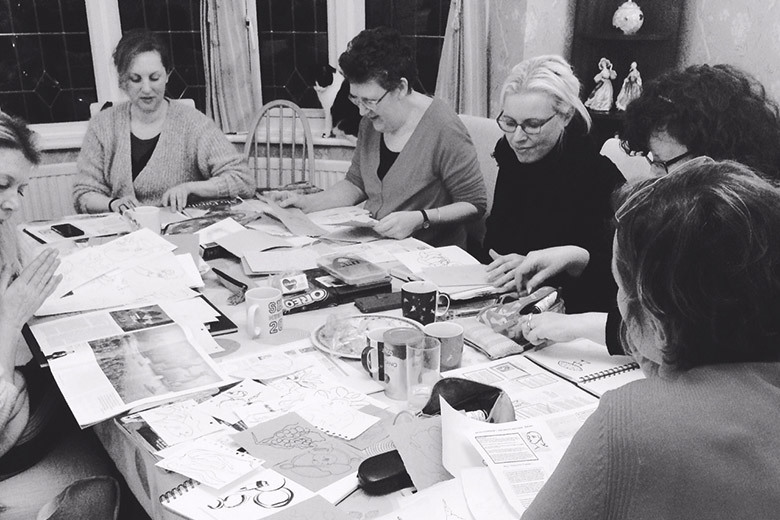 I’ve been attending a local meetup group, Made in Leigh, which was set up to give local, freelance creative types the chance to meet like-minded people in the area. In addition to the fortnightly meetings, the group has also organised a series of talks and now produce #TrawlerPaper. 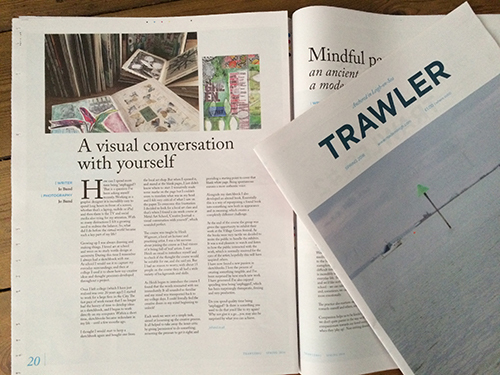 Trawler, is a publication that contains stories, photo essays and interviews written by people about their passions, creativity and entrepreneurial spirit. 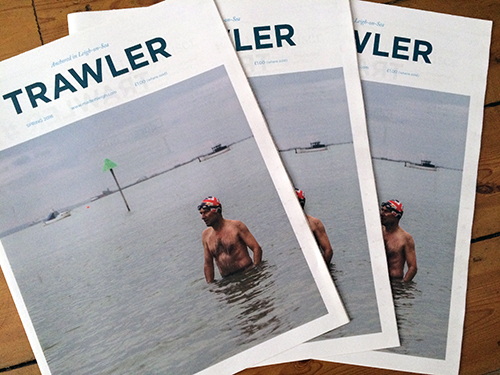 The first edition of Trawler Paper was launched in July 2015, which sourced Crowdfunding to cover the printing costs (everyone kindly contributes their time for free). This proved to be so successful that it also part-funded this second edition. 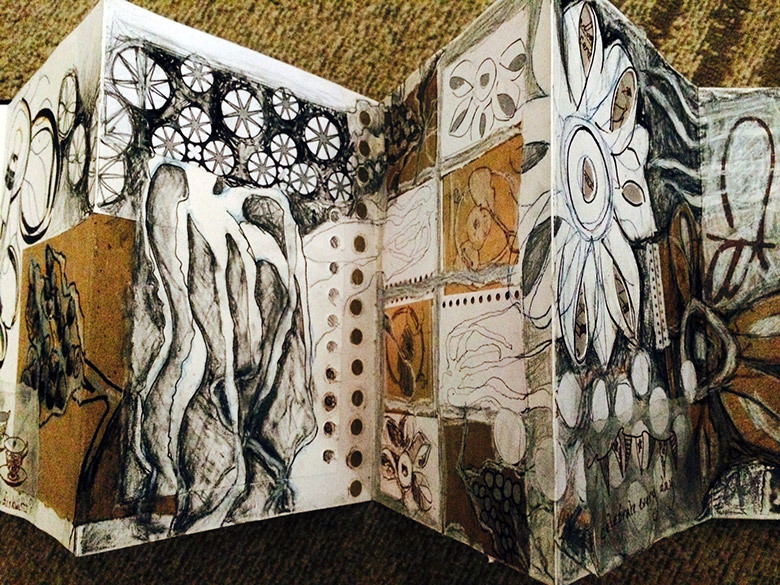 Creative Journal Course, Creative Journal Course – autumn and about the Creative Journal Exhibition we held at Village Green last year. 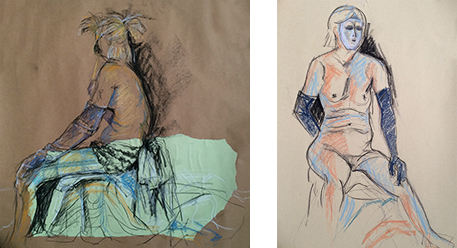 I took part in my second life-drawing session at Metal on 13 March (you can read about my first session here). Having attended a full day on my first session, I thought I would try a half-day this time. 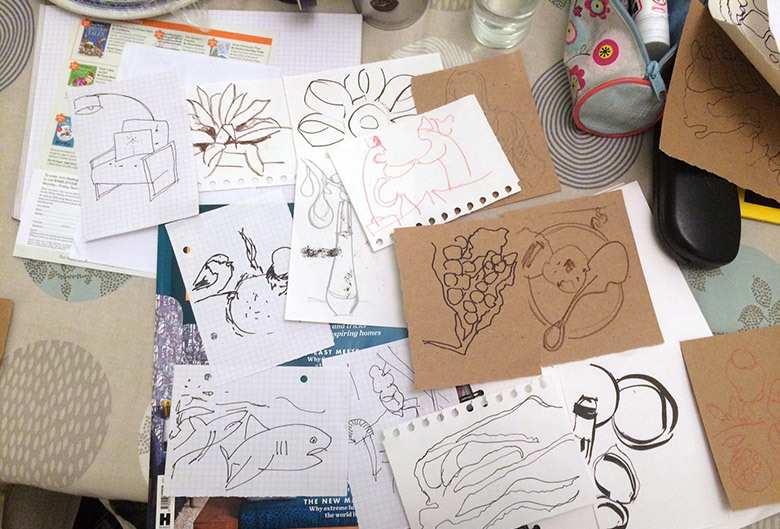 I certainly found it less exhausting than a full day, as drawing from observation can be very tiring, and I felt I got much more out of this session. In the morning we had a female model and again used a combination of props, costumes and lighting to add drama and intrigue to the poses. 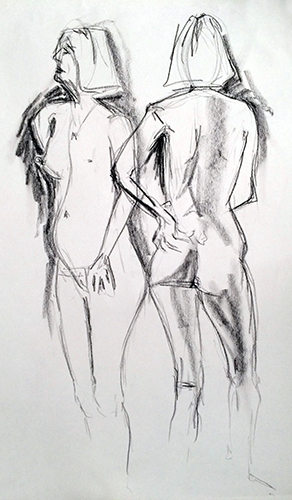 To warm up we began with five, three minute poses, using charcoal. 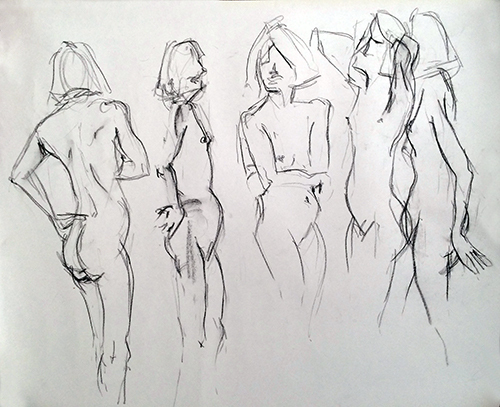 Followed by two, five minute poses. The following two poses were 30 minutes each and combined props, strong lighting and fabrics. I chose to use collage and mixed media to help capture the dramatic lighting effects and the different texture of the materials.